I often find beauty in the simplest scenes. 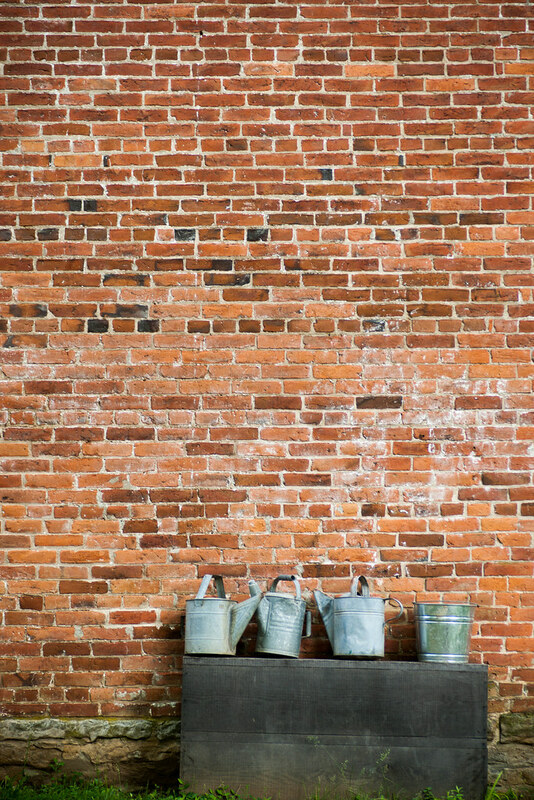 Here, three watering cans, a bucket, and a wooden box are set against the repeating pattern of an old brick wall. Simple. Beautiful in its basic forms. Yes, scenes like this are a joy.